You're free to walk almost anywhere on the island, although some crofters prefer you not to cross their land at lambing time (April-May). Please follow the Scottish Outdoor Access Code, close gates and use the stiles. The visitors' Welcome Pack will contain details of any temporary access restrictions (e.g. hay fields, orchid field, tern colonies etc). To different birdwatchers, Fair Isle conjures up different images. To some it shouts migrants and rarities, to others ringing and trap rounds, to others Puffins and seabirds and to others get-away-from-it-all, relaxing meanderings. For everyone it is a very special place and one that calls visitors back time and time again. New birds are added to the Fair Isle list with some regularity. At the end of 2018, the species list stood at 390. Download the latest published Fair Isle bird checklist (pdf). 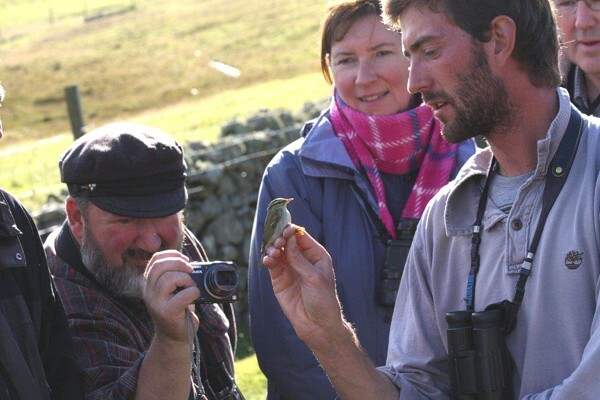 There are a number of opportunities to learn more about the work of the Observatory and the ringing of migrant birds and seabirds during a stay on the island. Visitors are welcome to join in an early morning walk around the Heligoland traps in the north of the island with one of the Observatory wardens. 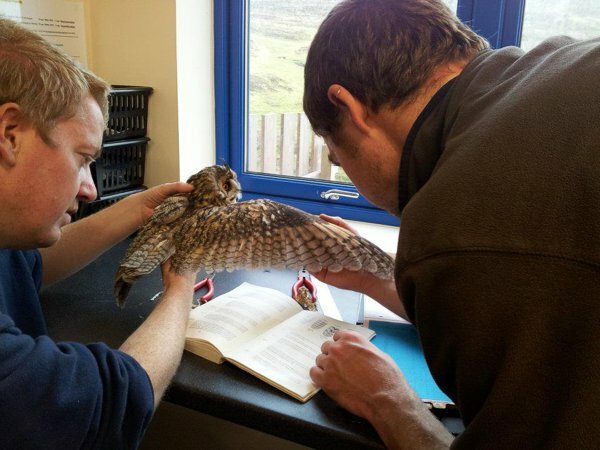 This can be a great opportunity to see birds in the hand and learn more about ringing techniques. 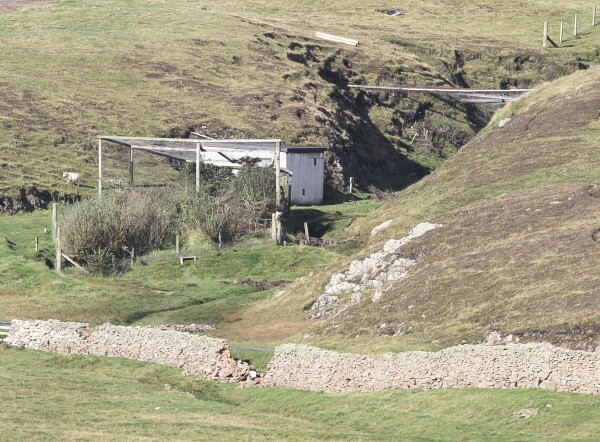 For keen birders trap rounds also offer the chance to get up close to some of the scarce and rare birds that pass through Fair Isle on migration. Morning trap rounds take place before breakfast each day, except when the weather is particularly bad. 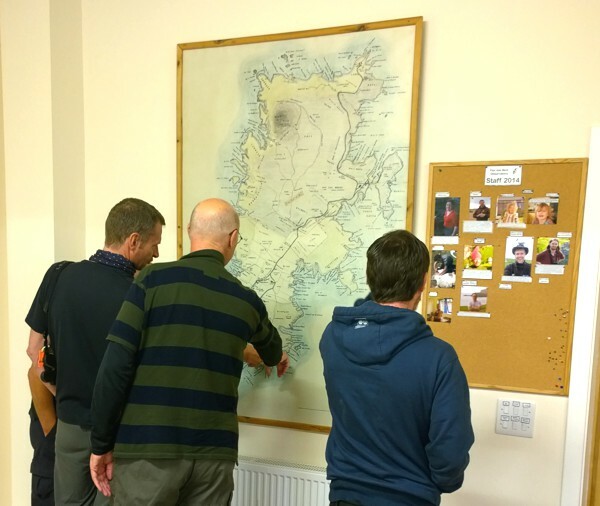 In July and early August there may also be a chance to watch Puffins being ringed and to participate in the unique experience of Storm Petrel ringing down by the Haven, although guests are advised that Storm Petrel ringing is highly weather dependent. Licensed ringers are welcome to participate in the ringing activities at the Observatory. Visitors wishing to get involved in ringing during their stay are asked to get in touch with the wardening staff prior to arrival and to bring their permit details with them. Be aware that even on a day in September when the weather isn't that bad, we might not ring double figures of birds in a day. 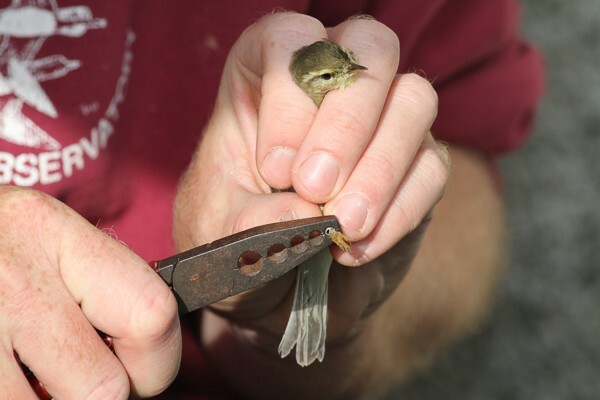 More information on the UK's ringing scheme can be found on the BTO website. A comprehensive Log is held every evening during the migration seasons and regularly during the summer, with the Warden presiding as the birds seen on the island that day are recorded. 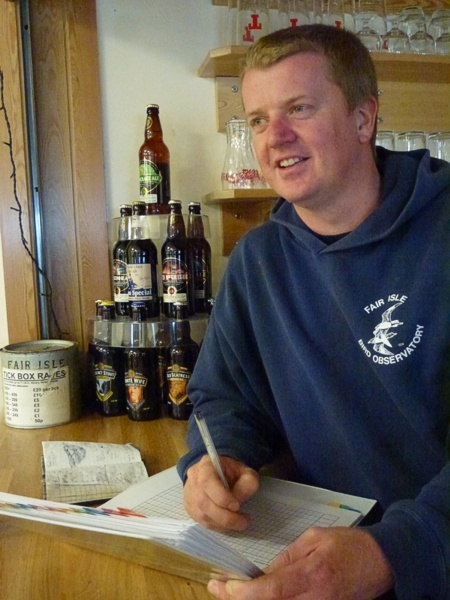 During the migration seasons, the three members of the wardening team each census a third of the island (N, SE & SW sectors) each day and these form the basis for the Log. Visitors are encouraged to add their own sightings to the totals. The Log is held in the lounge at around 9 p.m., but check on the whiteboard as the time can vary. Home bakes and hot chocolate are available at the same time. All sightings of note are posted on the whiteboard in the Observatory lounge and updated daily. You can also find out what's around on the island by looking at the latest sightings page of the website and news posted on Facebook and Twitter. We try our best to ensure guests get to hear about, and see, all notable birds on the island, but we hope you understand that it isn't always possible to get everyone onto every bird. In the autumn it helps if you leave a mobile number with the Administrator so we can let you know about sightings during the day (by Whatsapp and text/SMS), and we also encourage guests to phone in with sightings, so everyone gets to enjoy them. 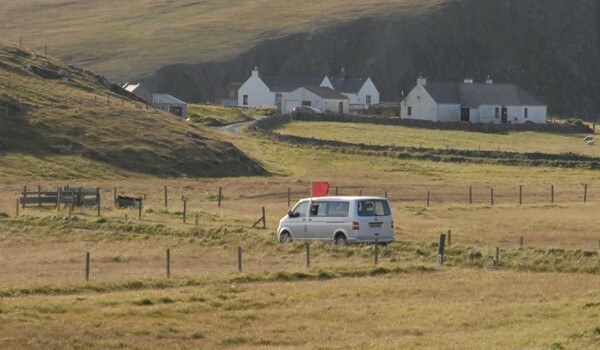 See our accommodation page for details of mobile coverage on the island. 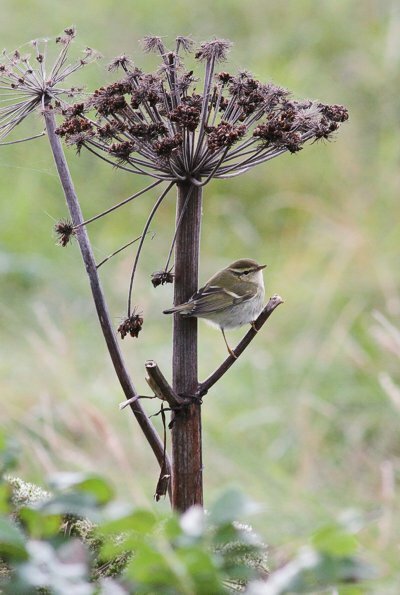 We are aware that visitors to Fair Isle come with differing levels of birding experience and interest and that not everyone wants to know about every migrant on the island, so we try to find a balance in the news we phone round. If there's a bird you're desperate to see, but it isn't particularly rare, please let us know, so you don't miss out if one turns up. We will do our best to let visitors know about sightings of rare birds, please make your way to the road and we will stop to pick you up if/when we are passing. If we're full, don't worry, we will come back. This is only done for particularly rare birds. In the event of turning up something particularly rare, we do ask that you contain your excitement a bit and let the Observatory put the news out. There are sometimes issues that might mean access has to be managed, for example, and the Warden needs to be able to make the decision on the way in which the news is released. We appreciate your understanding on this. 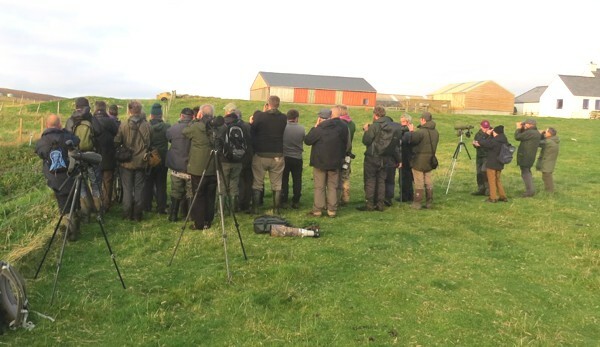 "This was possibly the best British birding I've ever done. Get yourself to Fair Isle!"